Skiddaw Croft Bed & Breakfast (AA Silver 4**** Guest Accommodation Award) offers a warm welcome in the quiet village of Portinscale, within a short walk of Keswick Town. We are currently listed in TripAdvisor as 1 of 9 B&B's in Portinscale. Our B&B is an Edwardian house which provides spacious and comfortable rooms with splendid views over Derwentwater and the surrounding fells. The bedrooms are all fully equipped. A relaxing and cosy lounge with magazines and books is also provided. Excellent breakfasts to suit all tastes and appetites are provided using local produce. Vegetarian breakfast can be provided on request. We also cater for anyone needing a Gluten Free breakfast. We have a separate toaster for gluten free bread and source excellent gluten free sausages from our local butcher. Please let us know if you have any dietary requirements at the time you make your booking. Breakfast is served between 8am and 9am (earlier by arrangement). Private parking for 5 cars, cycle lock up and drying facilities for that occasional wet day! Portinscale Village boasts a shop/cafe, a pub/restaurant, a hotel with public bar and 2 marinas, all within 5 minutes walk. Keswick town centre is an easy level walk away. All rooms have colour tv with Freeview channels, tea/coffee making facilities, hair dryer, adjustable central heating and USB charging sockets. 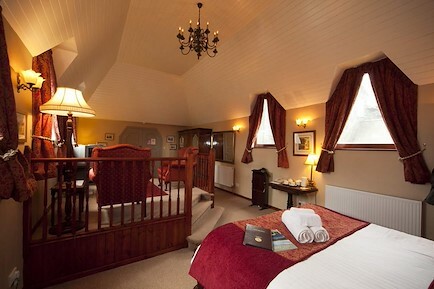 * The two single rooms have exclusive use of a separate shower room located on the first floor. For the comfort of all guests this is a non smoking establishment, including e-cigarettes. Your enquiry will be sent directly to Skiddaw Croft. Please fill in as much detail as you can.